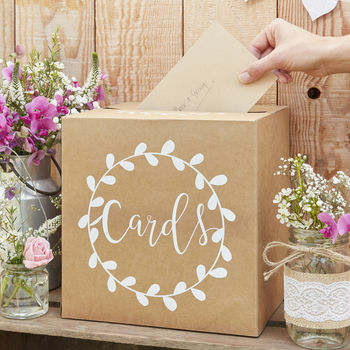 Make sure your guests know where to leave there lovely cards with our 'Card Holder Box'. Your guests will be drawn to the beautiful crisp white scripted 'cards' writing and vine detailing - so you are left to enjoy every second of the day. 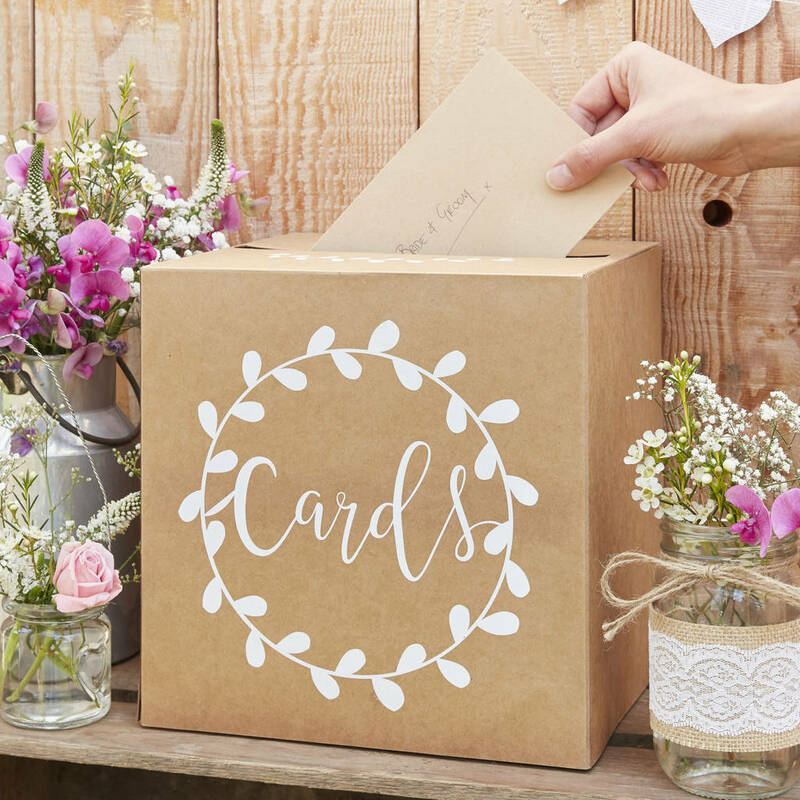 Our card box holder comes flatpacked and is very easy to put together - a great way to know where cards are at the end of the night to take home. 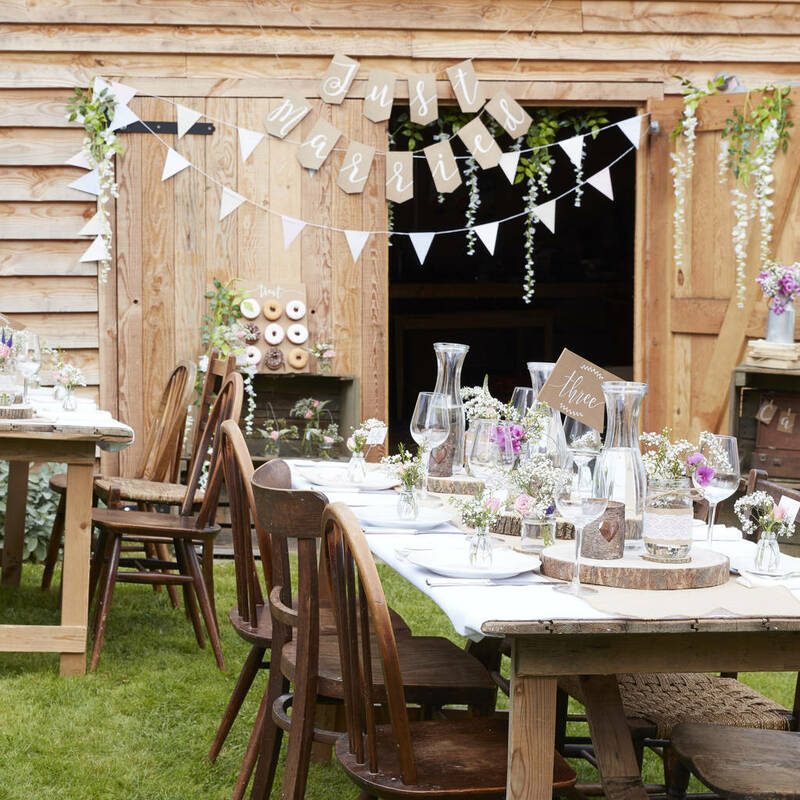 Surround the card box with our adorable glass hessian jars and pretty flowers to create a dreamy display.